HOW LONG DID it take to examine one little old lady? Patience paced the length of the hospital emergency room for what felt like the hundredth time. What was taking so long? “Excuse me.” She knocked on the glass window separating the admissions desk from the rest of the emergency waiting area. Easy for her to say. She hadn’t found her employer crumpled at the foot of a stairwell. Ana’s cry replayed in her head. Frail, weak. If only she hadn’t been in the other room…if only she hadn’t told Nigel he needed to wait for his dinner, then Ana wouldn’t be here. She’d be having her tea in the main salon like she did every afternoon. Patience couldn’t help her sad, soft chuckle. A year ago she didn’t know what a salon was. Goes to show how much working for Ana had changed her life. If only Ana knew how she’d rescued Patience, taking her from the dark and dirty and bringing her into a place that was bright and clean. Of course, Ana couldn’t know. As far as Patience was concerned, her life started the day she began cleaning house for Anastasia Duchenko. Everything she did beforehand had been washed away. The hospital doors opened with a soft whoosh, announcing the arrival of another visitor. Immediately, the atmosphere in the room changed, and not because of the June heat disrupting the air-conditioning. The conversations stilled as all attention went to the new arrival. Even the admissions nurse straightened. For a second, Patience wondered if a local celebrity had walked in. The air had that kind of expectancy. His tailored shirt and silk tie screamed superiority as did his perfect posture. A crown of brown curls kept his features from being too harsh, but only just. No doubt about it, this was a man who expected to be in charge. Bet he wouldn’t be kept waiting an hour. The man strode straight to the admissions window. Patience was about to resume her pacing when she heard him say the name Duchenko. 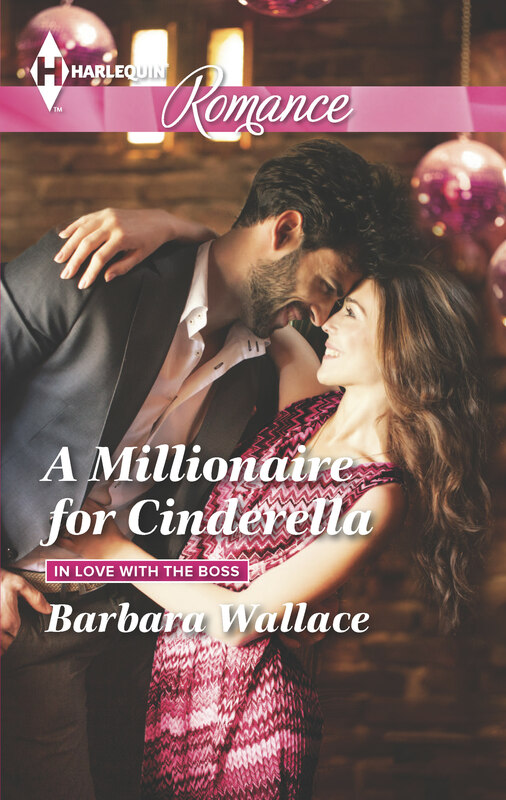 MAID FOR CINDERELLA is book 1 of my IN LOVE WITH THE BOSS series. Look for it in just over 2 months!